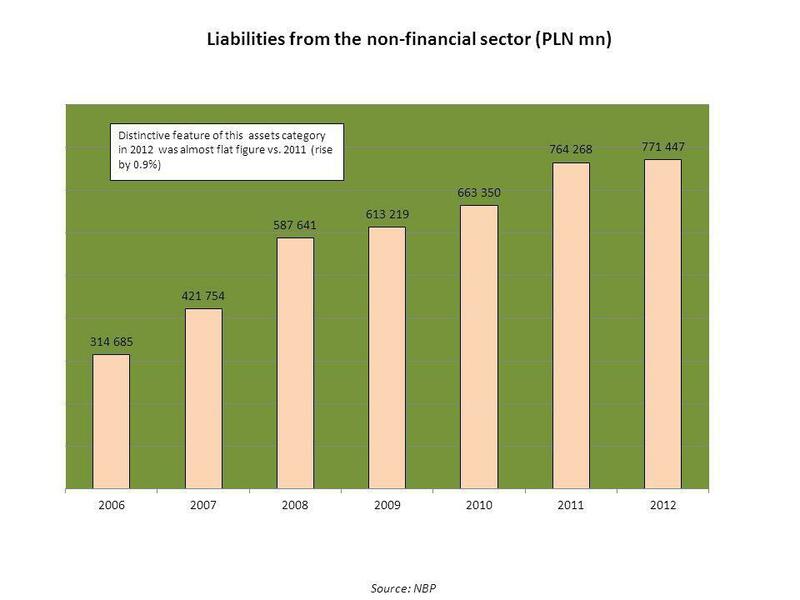 Net assets of banking sector (PLN mn) Source: NBP In 2012, the balance sums growth reached 4.5% vs. the previous year, which proves the significant fall. 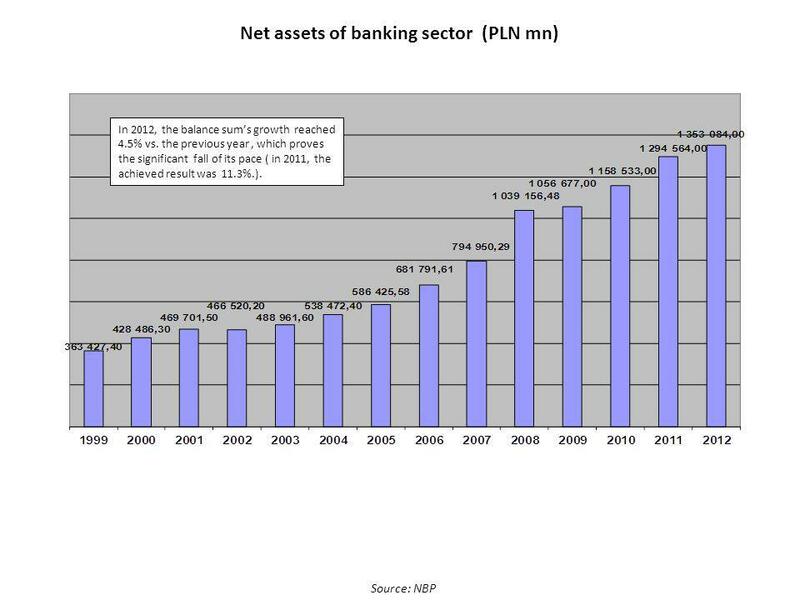 1 Net assets of banking sector (PLN mn) Source: NBP In 2012, the balance sums growth reached 4.5% vs. the previous year, which proves the significant fall of its pace ( in 2011, the achieved result was 11.3%.). 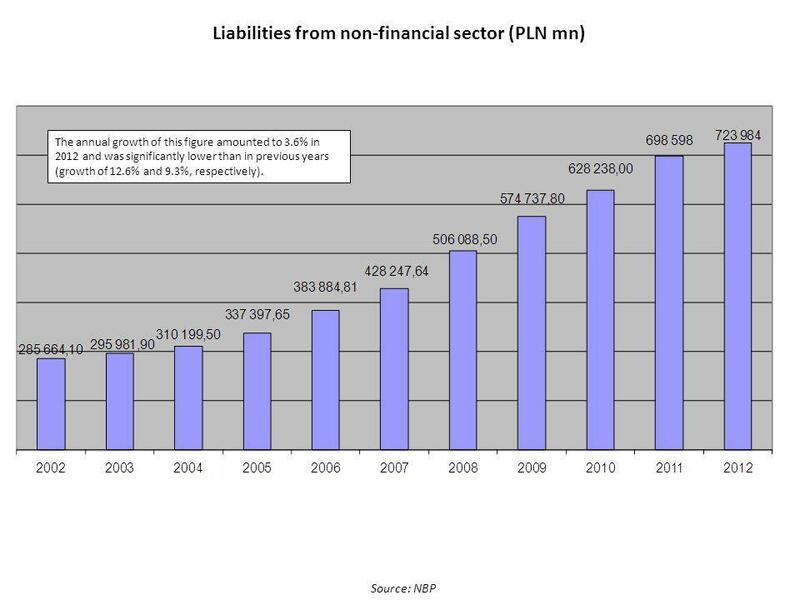 6 Liabilities from non-financial sector (PLN mn) Source: NBP The annual growth of this figure amounted to 3.6% in 2012 and was significantly lower than in previous years (growth of 12.6% and 9.3%, respectively). 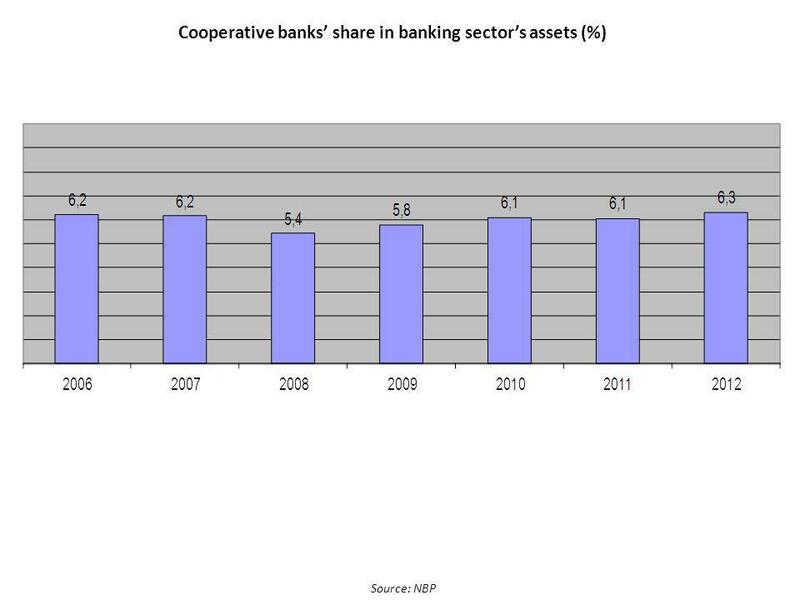 16 Cooperative banks assets (PLN mn) Source: NBP In 2012 balance sheet amounts growth in cooperative banks reached 9.5%, and was respectively slightly lower than in 2011 (11.3%). 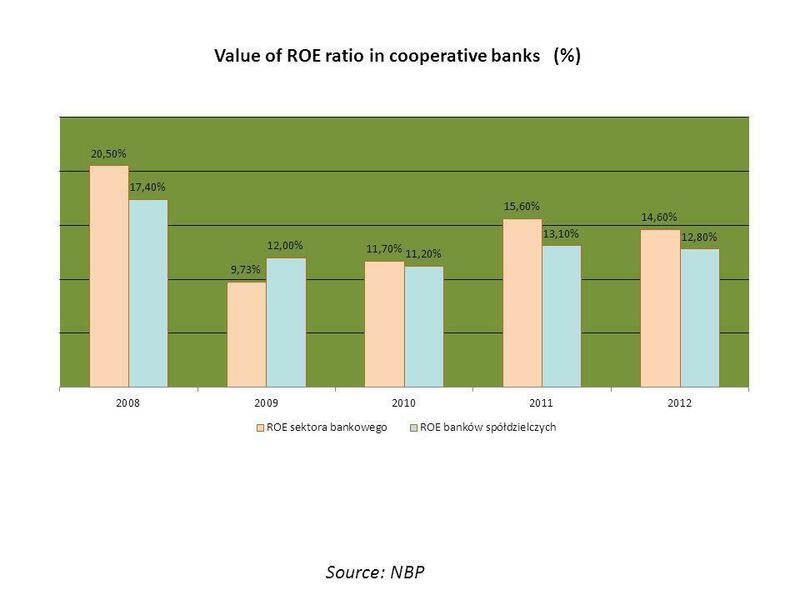 18 Net financial results of cooperative banks (PLN mn) Source: NBP The pace of the net profit growth amounted to 9.1% last year. 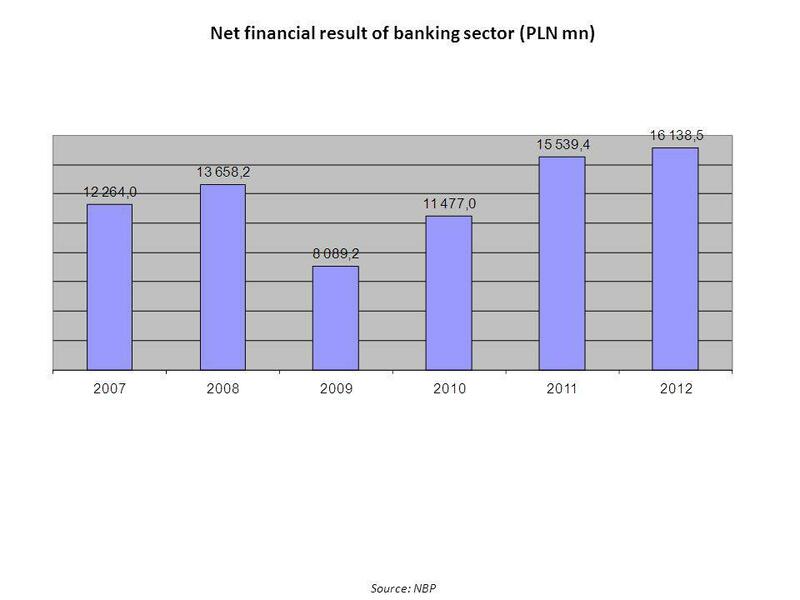 Download ppt "Net assets of banking sector (PLN mn) Source: NBP In 2012, the balance sums growth reached 4.5% vs. the previous year, which proves the significant fall." 10 May The Role and the Significance of Supervision through the Experience of the Central Bank of Montenegro M.A. Velibor Milošević Deputy General. Improvement of the credit market in Poland Krzysztof Pietraszkiewicz President of Polish Bank Association Tel Aviv 14 June 2012. Money, Banks, and the the Central Bank Lecture notes 5 Instructor: MELTEM INCE. LJUBLJANA, JUNE 19, 2013 IMPACT OF THE CRISIS ON THE CREDIT MARKET IN SLOVENIA. 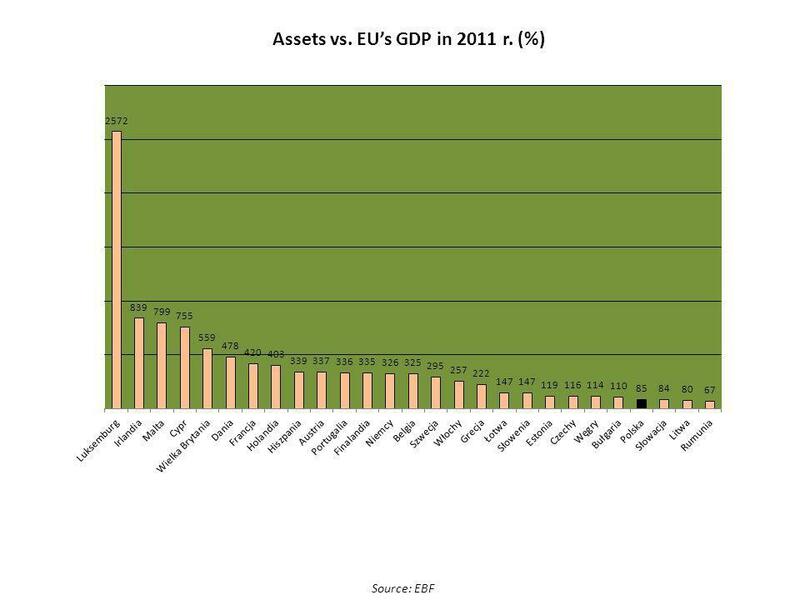 FISCAL POLICY AND FINANCIAL STABILIZATION Jean-Luc Schneider. Norges Bank’s Survey of Bank Lending 2014 Q1. 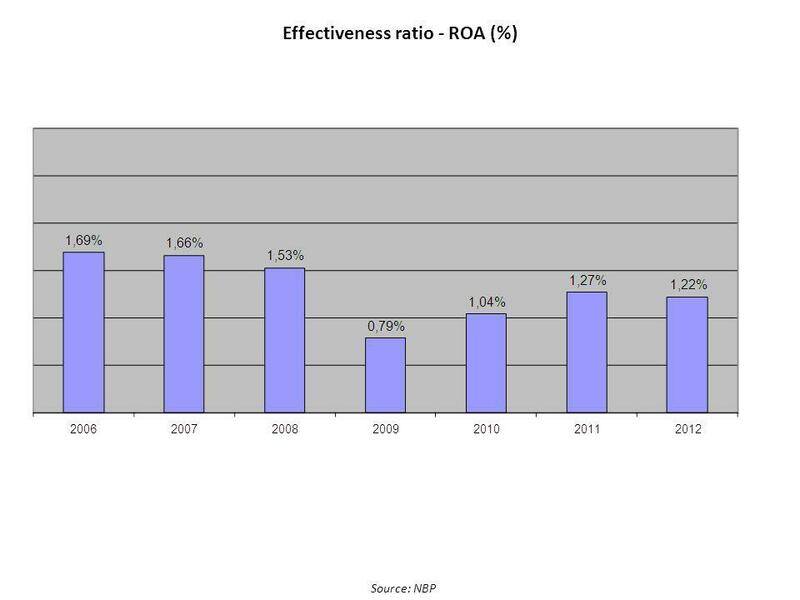 Residential mortgages TotalFirst-home mortgages Home equity lines of credit Chart 1 Household credit demand. 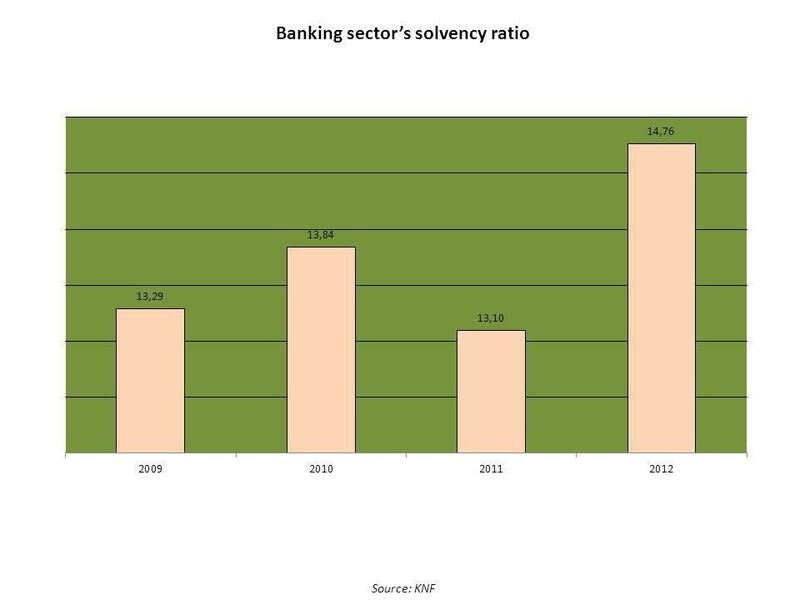 Norges Bank’s Survey of Bank Lending 2011 Q3. Repayment loans secured on dwellings Total Home equity lines of credit Chart 1 Household credit demand. 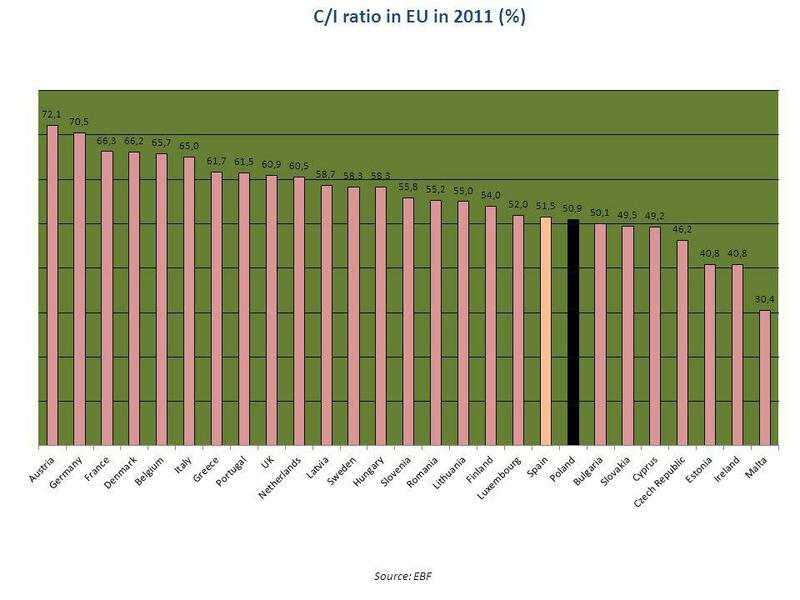 Norges Bank’s Survey of Bank Lending 2012 Q1. Repayment loans secured on dwellings 3) TotalFirst-home mortgages Home equity lines of credit Chart 1 Household. 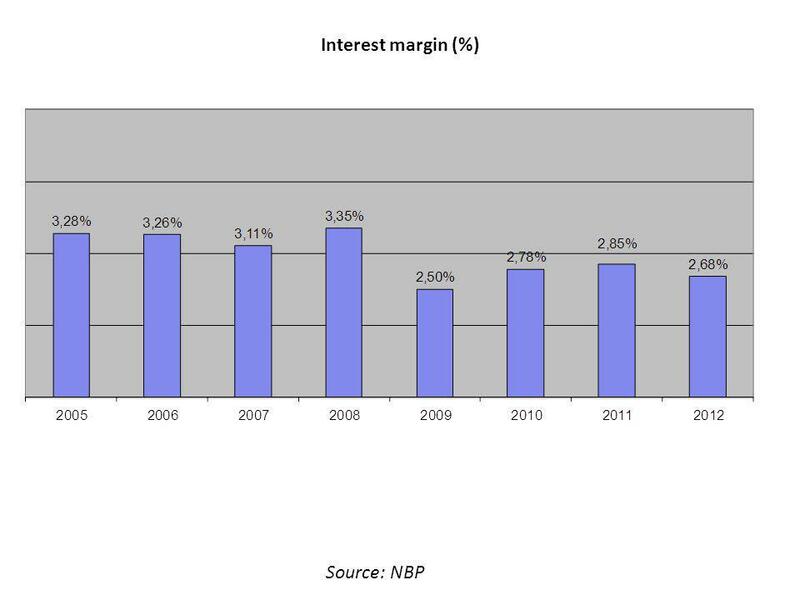 Norges Bank’s Survey of Bank Lending 2010 Q2. 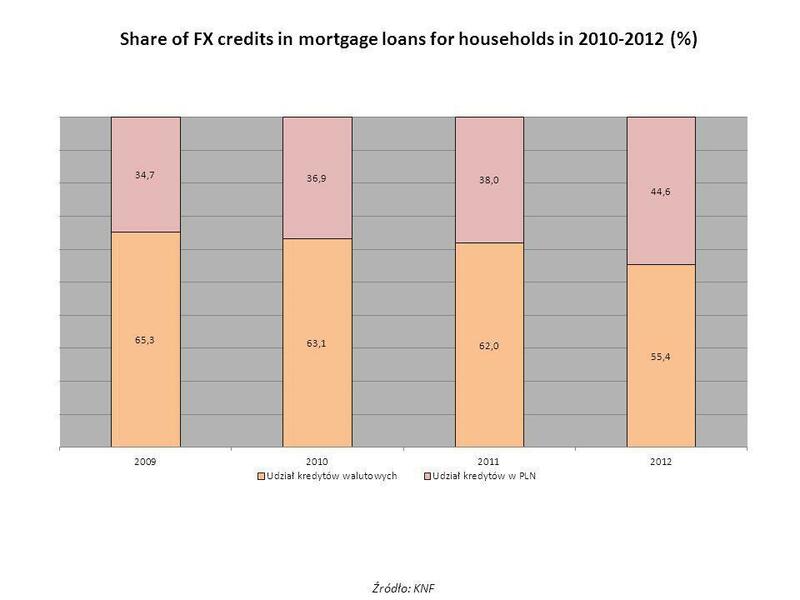 Repayment loans secured on dwellings 3) TotalFixed-rate loansHome equity lines of credit Chart 1 Household. Economic Outlook Peter Andrews Agent for Greater London, Bank of England Construction Industry Council 23 May 2012. 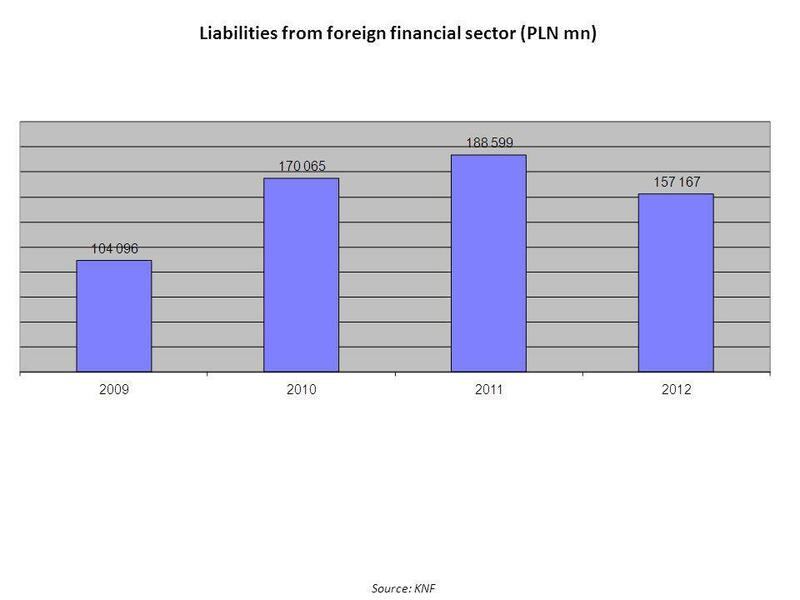 LJUBLJANA, JUNE 19, 2012 IMPACT OF THE CRISIS ON THE CREDIT MARKET IN SLOVENIA. August Results first half year 2010 Amsterdam, August 2010. 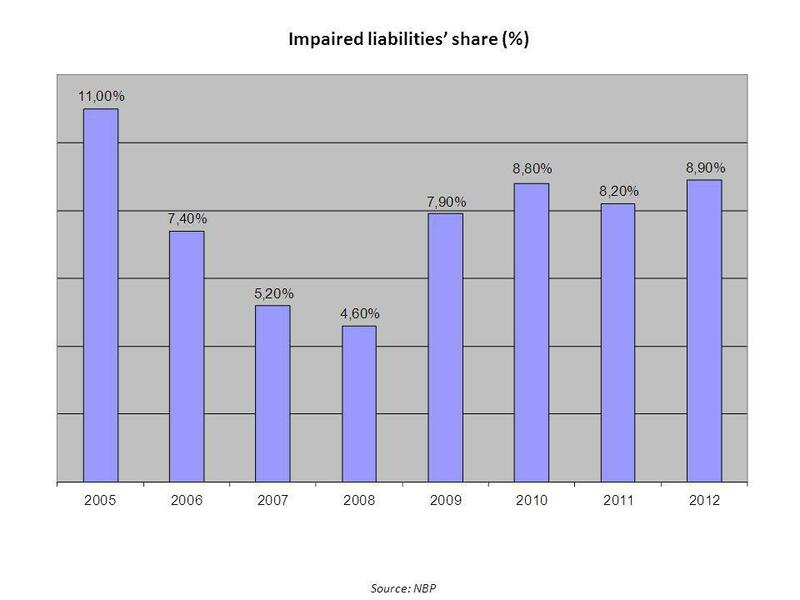 Liquidity risk Lessons learned from crisis Polish experiences Andrzej Stopczyński,PhD Managing Director of Banking Supervision PFSA June, 2010. 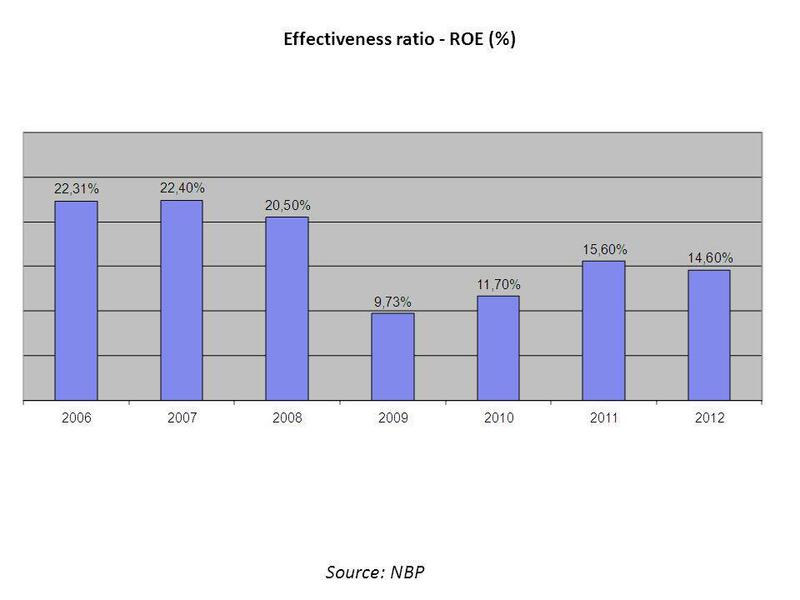 Norges Bank’s Survey of Bank Lending 2012 Q2. Repayment loans secured on dwellings TotalFirst-home mortgages Home equity lines of credit Chart 1 Household. 1 BFS Coursework Seminar Part Two: Measurements of Risk. 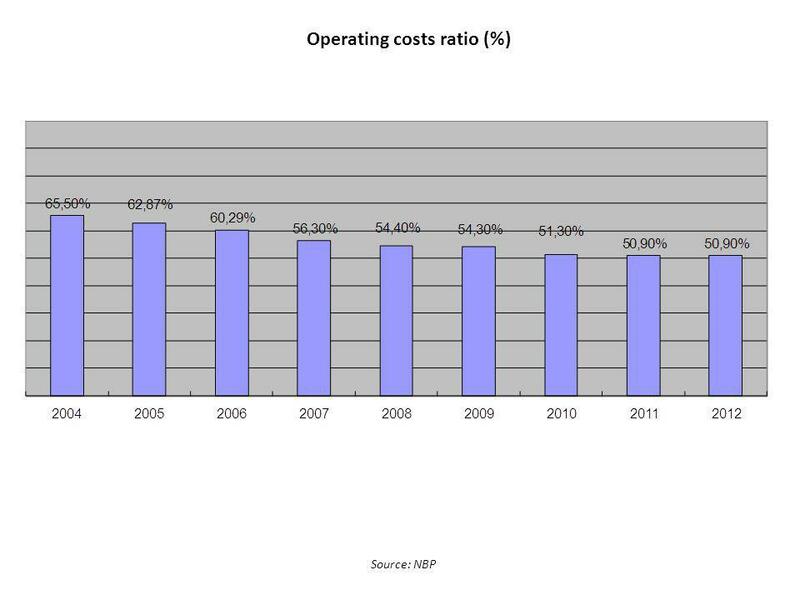 ©2013 Fiserv, Inc. or its affiliateswww.raddon.com / Measuring Opportunity and Success Best Banking Practices - Looking from the Inside Out.